Providence & Worcester @ West Boylston, Ma. 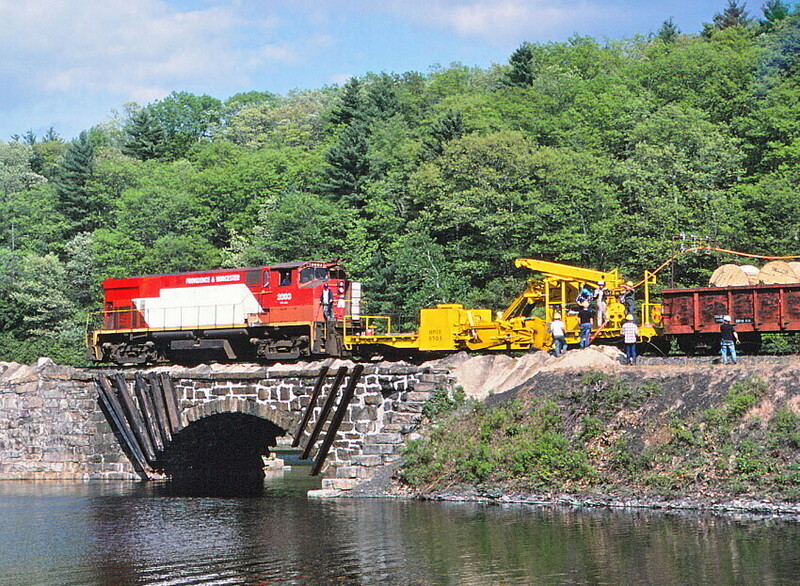 The P&W got the Sprint contract on the Boston & Maine's Ayer line and here we see the cable train crossing Thomas Basin at Oakdale. Photographed by Bruce Macdonald, May 19, 1987. Added to the photo archive by Bruce Macdonald, April 13, 2019.